Beardspotting: A New Sport and Contest! 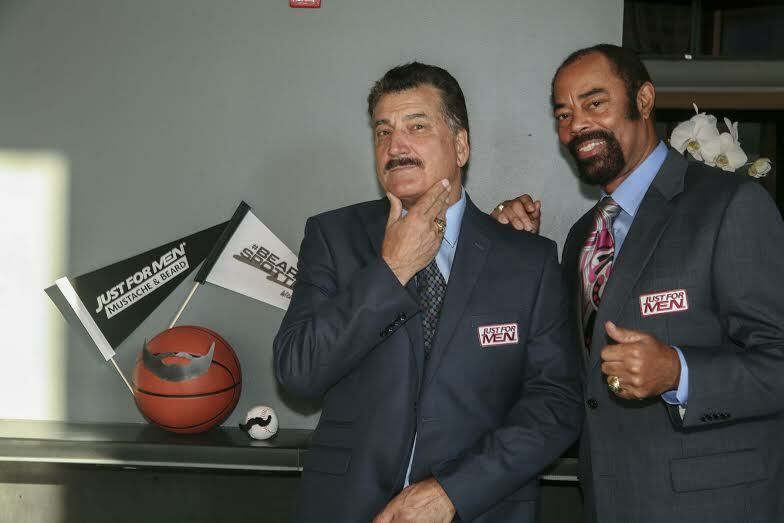 Sports Legends Keith Hernandez and Clyde Frazier are partnering again with Just For Men in a new commercial and a special contest! Reminiscent of their previous ads in 2002, the rhyming duo has a new comical commercial that reminds men that in five minutes they can get rid of grays and show off a fuller and thicker looking beard! The team has also announced a new sport of "Beardspotting" and a launch of a contest. Beardspotting will get entertaining this September, when Just For Men kicks off its search for the “Best Beard Ever.” Throughout the month, consumers can upload‪ #‎beardspotting‬ photos of their beards or mustaches to compete for the title of “Best Beard Ever,” which Keith and Clyde will award on October 15. The winner will receive an all-expense-paid weekend trip for two to Brooklyn in November to join the judging panel at the National Beard & Mustache Championships. In addition to the grand prize, entrants will have the opportunity to win Keith and Clyde autographed sports memorabilia. Combe Incorporated is a manufacturer of personal care products, including Just For Men®, Vagisil® intimate health care products, Sea-Bond® oral care products, Brylcreem®, Aqua Velva® and Lectric Shave® men's personal grooming products and Williams® Mug® Soap. Combe, a privately held multinational company founded in 1949, has its international headquarters in White Plains, N.Y.